What is Natural Skin Care Better? The skin is our body’s largest organ, as well as serving as a protective barrier. Unfortunately, this does not mean that skin remains impervious or impenetrable. We all must maintain awareness about what we expose our skin to. If you administer a dangerous ingredient on your skin, this could enter the body. Always consider any potential irritants that may come in contact with your skin. This includes chemical-filled personal hygiene products, fragrances, city water, deodorant, and many more. By committing to a natural skin care routine with natural skin care products, your skin can look and feel healthier than ever! All it takes is some research and smart shopping to find responsibly-designed products that can help you keep your body clean while living the healthiest lifestyle. Your chosen skin care products should remain free of any harmful chemicals, irritants, as well as preservatives. The best natural skin care administrations are designed with all-natural, organic, and GMO-free ingredients that don’t get tested on animals. Many larger skin care product developers keep their process entirely mysterious. 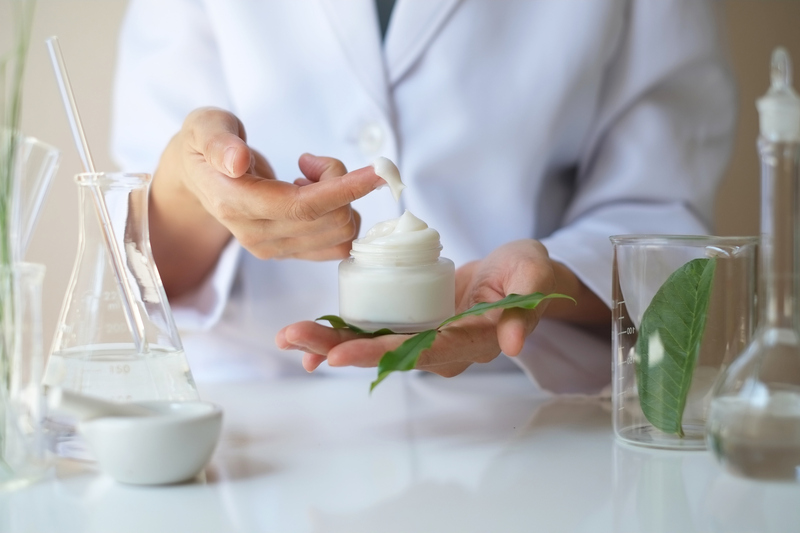 While most people think that skin care products reside under the regulatory umbrella that is the Food and Drug Administration, the FDA doesn’t need to improve what ingredients companies add to their personal care products. This means that when a company states their product composition is safe, regulatory bodies can look away saying this is good enough. Unfortunately, many ingredients that traditional skin care product companies say are safe impart negative effects. Endocrine-disrupting chemicals may lead to reproductive issues, as well as increase the potential risk of cancer. The most you expose yourself to these harmful chemicals, the more they concentrate within the body. By using organic, natural skin care products, you formulate a solid foundation for preeminent skin and health. Instant Gratification AND Long Term Results!? As you eliminate toxins and synthetic compounds from your daily routine, your skin will respond to the healthy, natural nutrients you supply. The skin will positively react to these ingredients. This offers immediate, as well as long-term results. Not only will natural skin care products moisturize, exfoliate, nourish skin just like traditional care provisions, but they can also impart natural effects like balanced pH, and reduced water loss. Many individuals also express surprise that a natural skin care regimen will produce results faster than traditional applications due to powerful natural ingredients. For example, compounds that contain Goji fruit extract can improve skin tightening and elasticity almost immediately. This will reduce fine lines and wrinkles and provide a healthy, youthful appearance. The most substantial benefit you will discover by switching to natural skin care products is healthy, balanced skin. Chemicals in common traditional cosmetics and skin care products will penetrate the skin, circulating throughout the body. This damages skin cells and increases the risk for severe health conditions as time goes on. Many of these chemicals additionally result in irritations, breakouts, and increased sun sensitivity, in addition to the deterioration of the skin’s appearance and barrier function. Dr. Deborah Longwill and the dermatological team from the Miami Center for Dermatology dedicate our time to finding holistic, nontoxic alternatives to modern skin care treatments. We commit to the highest standards and lead the way in the dermatology field regarding non-toxic, safe, and effective natural methods. For more information on how our team can help you with a natural skin care regimen, contact the Miami Center for Dermatology to schedule an appointment!